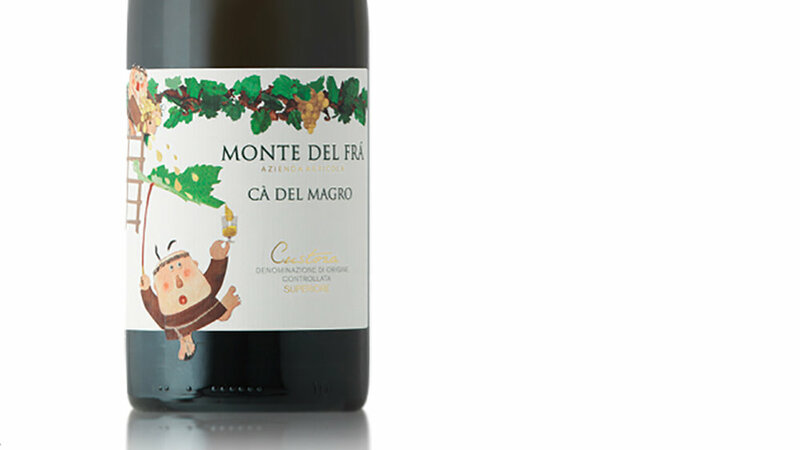 The Monte del Frà Cà Del Magro Custoza is a gorgeous, contemplative Italian white wine blend. There’s a popular misconception amongst newer wine drinkers that suggests that red wines are more complex than their white counterparts. However, the first sip of the Monte del Frà Custoza will prove that white wines don’t have to be simple. Monte del Frà (“hill of monks”), which celebrates its 60th anniversary in 2018, is a family-owned winery in the Veneto region of Northeast Italy, stretched across several vineyards totaling more than 200 hectares. Sourced from the Cà Del Magro vineyard on the outskirts of the village of Custoza (about 20 kilometers from Verona), this complex and flavourful white wine features Garganega, Trebbiano Toscano, Tocai Friuliano, Cortese, Incrocio Manzoni and Malvasia (all indigenous Italian varietals), plus a small percentage of Chardonnay and Riesling Italico (aka Germany’s Welschriesling). The grapes are harvested in October, after which they are gently pressed, blended, left to ferment slowly in cool stainless steel tanks, and aged sur lie (on the lees) for about four months. Along with partial malolactic fermentiation, the result is a creamy wine with a rich mouthfeel. Greater than the sum of its parts, the nose offers complex aromatics of toffee, red apples, icing sugar, and tropical citrus fruit, while the palate delivers flavours of stone fruit (peaches, just-ripe nectarines), almonds and coconut. Truly delicious, this is no summer sipper, but a gorgeous, contemplative wine that screams to be paired with food and friends.